Perhaps it is because I’m getting older, perhaps it is because I am clean and sober, perhaps it is because I choose to live a simpler, more peaceful life in Hawai’i, perhaps it is because it is, today I choose to always believe that something wonderful is about to happen. And then it does. I am finding that no matter what happens, anytime, anywhere, something good comes from it. Even in the most tragic of events people are brought closer, empathy and compassion are experienced, communications are opened and bridges are gapped. Sometimes slowly, sometimes quickly. I am finding that today I attempt to live in and surround myself in optimism, positivity, and hope. Sure beats living in hopelessness and despair. And in these attempts I find myself attracting and being surrounded by more optimism, positivity, and hope. That’s pretty wonderful in and of itself. As much as I am deluged by the daily news wrought full of tragedy, I still get to be thankful today that I am not drowning in it. I still get to put a smile on someone’s face, offer a hug, a lending hand, an ear. Again, wonderful. And when I saw this quote about something wonderful about to happen, it made me think that where I am at this particular moment is perhaps not so wonderful. It feels good to know that this not so wonderful moment shall be passing to greatness. That I shall come out of it all the stronger and the wiser. You see, if I can accept things as they are, get out of the way and just enjoy the ride, then, yes, something wonderful is about to happen. If I can be flexible enough to accommodate whatever comes my way, all will be just fine. If I can live in the moment and enjoy the gift of the here and now, sustained by dreams and hopes and optimism (the wonderful), I can appreciate that I am right where I am supposed to be. The fact that I can even acknowledge this is pretty darned wonderful! All by the Grace of a Higher Power watching over me and a Fellowship in Recovery that has my back! 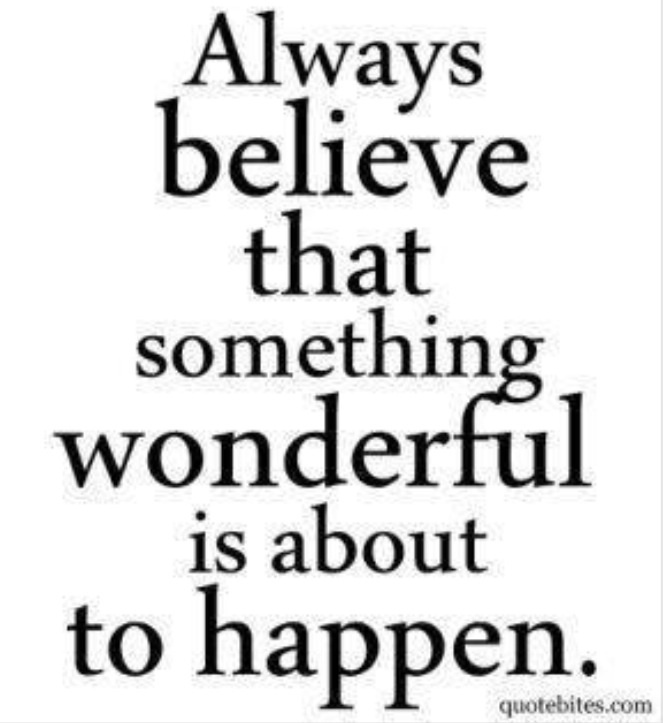 With that, have a mighty fine day and remember something wonderful is about to happen! Aloha…Dee. 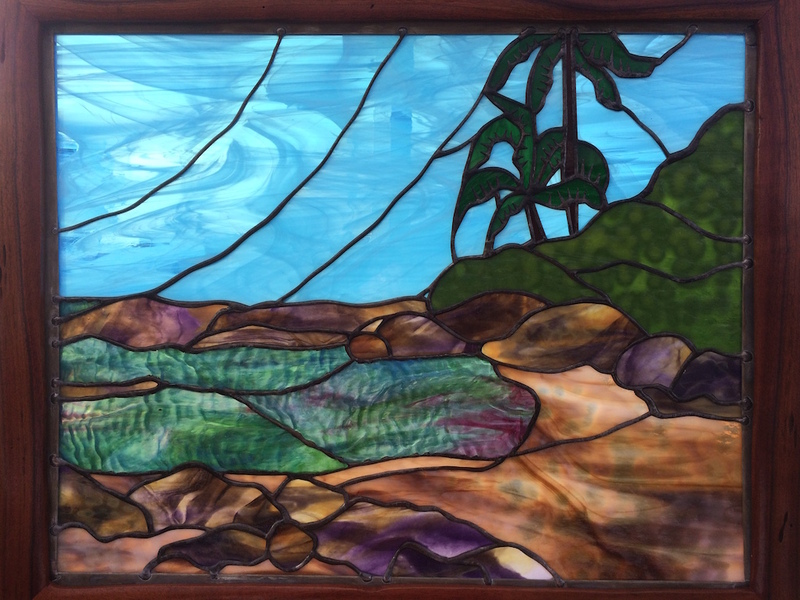 For those interested in Inspirational Gifts in Recovery or Hawai’i Art, please visit my website at www.DeesignsByHarris.com. Mahalo and enjoy! Hi Dee! I think you are doing AWESOME! Love your blog. Glad we are able to connect here as well as in person. 🙂 Anytime you need to vent, talk, etc, you know where I am. Aloha! Ditto, Violet. There are no coincidences. Only had time time to read a bit on your WordPress, but look forward to reading more. You’re a very good writer! Aloha!